The following LeBron James, “it girl,” spite musing was first published on Cavs: the Blog back in February. Here it is again, reformatted for CFAAP.com whilst maintaining the integrity of the original post. I hope you enjoy it/hire me for lots of money. You know what? Let’s not even start with LeBron. Let’s start with a conveniently analogous anecdote. When I was 22 (a year older than CTB’s own C.S. McGowan), the first girl I’d ever dated broke up with me. I’d made mistakes along the way — mixtapes are cute, but you better be a real lumberjack if you want to bookend one with Aladdin — still, the dumping seemed irrational. I was caring, attentive and I put out reasonably well for a nebbish, sexually-terrified faux-adult whose romantic repertoire prior to that relationship consisted of saying “I’m going to kiss you in 10 seconds,” and then counting down the remaining :09. In spite of all that, she left me for a disinterested 28-year-old physical therapist. 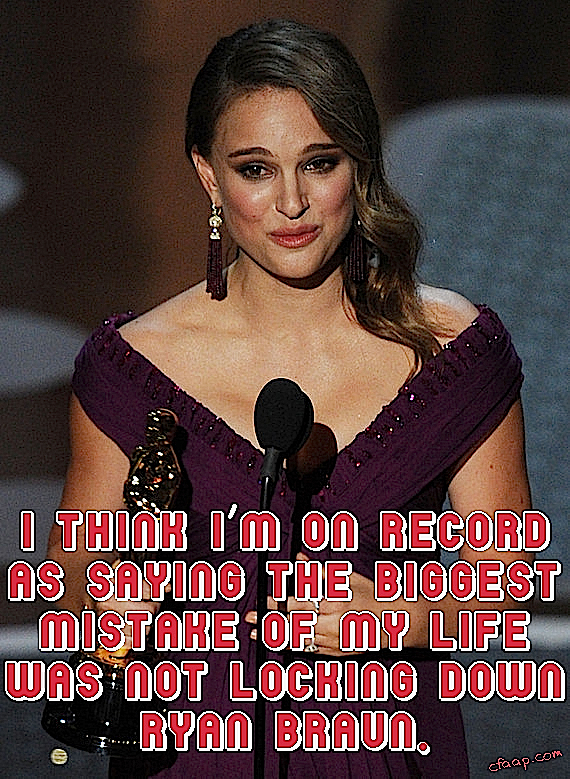 It was why, for months afterward, I refused to rehab anything professionally. And it’s kind of related to the debate at hand. Two weeks ago, I stumbled on Sam Amico’s now semi-dated article re: the prospects of LeBron returning to Cleveland, and it was that which got me thinking about this again (both the LeBron situation and my beautiful ex — the latter pictured below in a visual approximation). I’m sure you’ve all read the story. None of this is particularly substantive or surprising. That Brian Windhorst corroborated kept me from writing off the return possibility without first giving it some thought…but I did give it some thought and came to the conclusion that we’ll see Obama as governor of Mississippi before we see LeBron, as Windhorst speculates, back in Cleveland and honored with a statue. To even get us to the precipice of a return would require not only Dan Gilbert’s acceptance of a LeBron reconciliation, but an apology from LeBron himself, plus a general admission of wrongdoing. In other words, LeBron would have to publicly take some responsibility for the split with Cleveland and at least in some capacity, publicly admit he may have done a thing or two to draw Gilbert’s ire. None of the above is going to happen, and perhaps because of that, the likelihood of the above happening is not really what I’m interested in. I’m interested in what we might do if the situation presented itself. When that girl broke up with me, I sulked pretty bad. I didn’t leave the house for a week. My mom gave me a bell I could ring for ice cream and I just stayed in bed for the whole seven days. It wasn’t a good look for a 22-year-old, and about the only thing I gained from the wallowing was an abject certainty that Night Court was underrated. But then, as if forced to by my mother, the next Monday I got up and moved on with my life. I got a job as the production office intern for a movie filming locally and made such an impression delivering lunches that I was offered a job in Los Angeles, also delivering lunches. My mom spent a week in bed with the ice cream bell, and then I left. I won’t say my motivation was to become a famous actor solely to spite the girl who’d left me… but I will write it. My motivation for moving was to become a famous actor solely to spite this girl who’d dumped me. I’d never been to Los Angeles. It was a healthy and financially pragmatic move. But it did do one thing; it allowed me the time and the space to recover. It allowed me to move on with my life. It allowed me to start anew (and/or metaphorically draft Kyrie Irving depending on where you are in the analogy.). Within three years, I was shopping at Whole Foods and driving a Prius. I was still delivering lunches, but now they were fancy. I didn’t see that girl again for three years, and I really wasn’t planning on initiating anything ever again until she emailed me one day totally out of the blue…to see how I was doing, to see “how life was treating me,” and to see if I’d be attending the wedding of one of our college friends in a couple of months. And so we started talking, and reminiscing, and telling each other that there were no hard feelings. I said I’d be going to the wedding and staying in the recommended hotel. She asked me what floor I was staying on. My biggest issue with the sports fan of the 21st century is the following: With very few exceptions, the 21st century sports fan is f’ing fickle! I haven’t been alive long enough to definitively state that things haven’t always been this way…but I’m pretty sure that things haven’t always been this way. Sports have become a mixed bag of opportunism and sentimentality, admittedly for me as much as anyone. I mourned the departure of Big Z, but in no way did I take issue with his trade. I’ve despised the high-profile player movement of the past few years, but I’m the same guy who was pitching Dwight Howard to Cleveland last week. And now, in analyzing the tenets of immediate gratification (something that, again, I seek as much as anyone)…I’m starting to wonder at what point will opportunism snuff out the sentimentality that gives sports its heart in the first place? And if that’s a possibility, how far gone are we already? From the booing of home teams in even the most hallowed of locales (its happening from Cleveland to Green Bay), to the relatively crass pursuit of big-time free-agents in every major sport (again, Dwight Howard), I feel like the opportunism is taking over. This is probably a positive in the NFL-ian way that it keeps everything interesting for everyone always…but it’s not so good in the crafting of true loyalty, of true fans, and ultimately, of the lovable “throwback” players we keep pining for. There’s a romantic (if idealistic) group of sports fans craving a better kind of athlete. I think in order to facilitate that, we may need a better kind of fan. Someone for whom opportunism is not the priority. That said, I totally get why it is. We’re back at the reception now and I’ve had four glasses of wine plus I really can’t hold my liquor (At all. That “I’m drunk” picture came after a lone White Russian.) and the/that/my girl is looking more pretty than is probably appropriate at a wedding with a bride. I asked her how her grad school was going and she told me about her residency. She asked me how my acting was going and I told her about my appearance in a Swedish life insurance commercial. And then we just stared at each other for a moment…after which time she asked me if I wanted to see some of the things she’d learned in medical school. I’ve never been hit on in my life…except for potentially that. Jim Gray walks in and he sets up the camera. 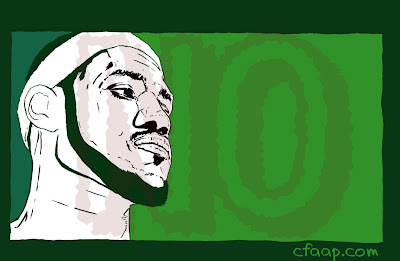 What would you say to LeBron James if he asked to come back (and/or asked you up to room 304)? What would you do if the only thing standing between a Cleveland team and a 3-4 year championship run was the return of LeBron James? In that very specific case (coincidentally, an amplified version of so many other cases)… what is the value of spite, and in how much of that spite lies your credibility as a sports fan (or in my case, as a man in general)? In how much of it lies your ability/right to enjoy a championship? When LeBron James left for Miami, he was most roundly criticized for copping out. “Championships are championships,” LeBron ultimately said. The ends justify the means, because presumably, no one remembers the means. If history proves him right (and while I sincerely hope that won’t be the case, I do realize it might be), would you be willing to sacrifice championship ends for a means that ultimately may not be remembered? And I think that’s what I’d want to say… I just hope I’d say it. I spent my fourth year in Los Angeles listening to way too much Aladdin. NBA MVP – LeBron James, SF, Miami Heat (27.9 ppg, 8.2 reb, 6.9 ast). The real purpose of this article was to compare LeBron James to a girl (WIN)…unfortunately, that girl is playing about three levels higher than anyone else is this season. I don’t know if he’s recovered enough good will to actually win MVP, but he clearly should if Miami ends up anywhere near the top of the league. Along those lines, the Heat are a game back of the Bulls and Thunder right now and while he’s tailed off a bit lately, LeBron has been dominant in keeping the Heat afloat despite inconsistent assistance from Dwyane Wade. CAVALIER MVP – Andy Varejao, PF/C (10.8 ppg, 11.5 reb, 1.7 ast). I’m in the camp that wants a better draft pick and I still thought the Varejao injury was devastating. Andy’s been playing at an All-Star level all year, and to see that momentum interrupted by such a fluky play is immensely frustrating. Silver lining: There’ll be a lot less pressure on him when we land Anthony Davis. NBA COY– Doug Collins, Philadelphia 76ers. I don’t think the Sixers are a threat in the East, but boy are they are fun to watch. They’re young, they’re well-rounded and they share the ball. I fear they’ll end up a well-constructed team held back by lack of star power… but in the meantime, much of the credit for their resurgence should go to Collins. CAVALIER COY – Byron Scott. I’ve made jokes every week about Byron’s lack of competition for this spot, but in truth I’m really impressed with the job he’s done this year. The games we’ve not competed have been few and far between, and the development of our youth (by far the season’s most important facet) seems to be going remarkably well. Tristan Thompson may have plateaued, but Kyrie Irving and Alonzo Gee get better with each passing week. CO-NBA ROY – Ricky Rubio, Minnesota Timberwolves (10.9 ppg, 4.5 reb, 8.7 ast) & Kyrie Irving, Cleveland Cavaliers (18.0 ppg, 3.5 reb, 5.1 ast). I still think Kyrie’s the better player, but with KI missing a few games courtesy of Dwyane Wade’s knee I think it’s fair that Rubio be acknowledged as well. Ricky’s shooting is a substantial limitation, but it’s one some other stars share. It’s striking how much of his game resembles Rondo’s. Rubio is such a good set-up man and he’s far more active defensively than I initially gave him credit for. Ultimately, I don’t know if I see the athleticism to make up for his inability to shoot comfortably from the perimeter…but if he carves out a niche as a poor man’s Jason Kidd/Rondo, I think Minnesota will deal. CAVALIER ROY – Kyrie Irving, PG. Since I last did this, Kyrie’s started winning games down the stretch single-handedly. It’s been kind of astonishing to watch. I don’t know if he can make the type of jump LeBron did from Year One to Year Two, but he also might not have as much distance to travel. If he can condition himself to the point where he can run (really run) 36 minutes a game… we’ll all have to reassess what his ceiling might be. Ryan Braun writes at CFAAP.com, but he also posts a picture with an article to Cavs: the Blog once every two Sundays (which he often does barely and by PST technicality). He appreciates your reading, and also you in general. I've been waiting for this one. Great article. I'd take him back. Great job. POST. MORE. THINGS. This is funny as hell and really, really good. Thank you guys! Keep coming back -- more stuff coming! Hi there to every body, it's my first visit of this website; this webpage contains awesome and in fact excellent stuff in support of visitors. 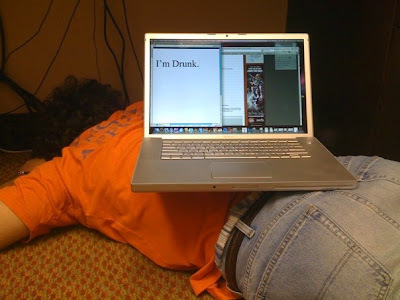 I'm really inspired together with your writing abilities and also with the structure for your weblog. Is this a paid topic or did you modify it your self? Either way stay up the nice high quality writing, it is uncommon to peer a great blog like this one nowadays.. 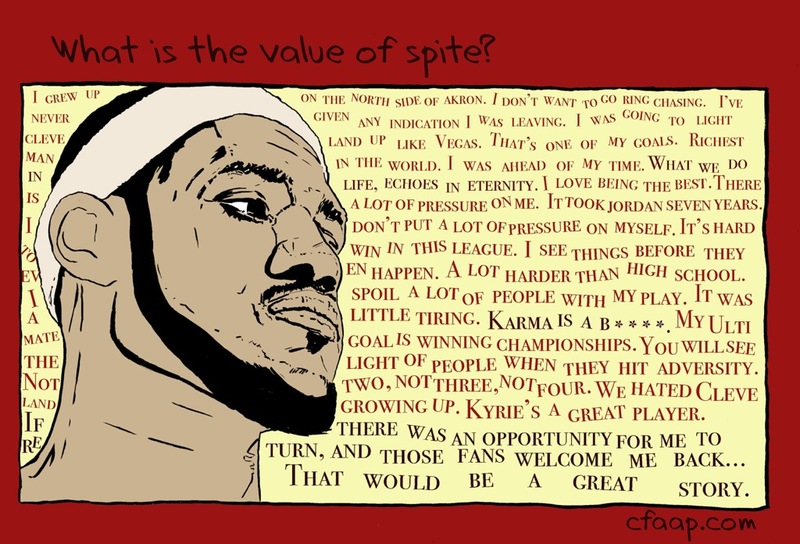 I hardly leave responses, but i did a few searching and wound up here "What is the value of spite? A short musing on LeBron James, Cleveland, and this Girl I Used To Love Irrationally, by Ryan Braun:". of text for only having one or two pictures. post. They're very convincing and will certainly work. Nonetheless, the posts are too quick for newbies. May just you please lengthen them a little from subsequent time? Thanks for the post. At this time I am ready to do my breakfast, afterward having my breakfast coming over again to read other news. guest writers to write content for yourself? I wouldn't mind creating a post or elaborating on many of the subjects you write related to here. Again, awesome web site! since this point in time i am reading this wonderful informative post here at my residence. Greеtіngs from Luԁаg, Grеаt Britaіn. Dοes your blog get a bunсh οf ѕρam comments? that type of info in such an ideal method of writing? not even using WIFI, just 3G .. Anyways, wonderful site! Hello, yeah this piece of writing is in fact pleasant and I have learned lot of things from it on the topic of blogging. frequеntly. I am rathеr certаin I'll be told many new stuff right here! Good luck for the following! this web site and be updated with the hottest news posted here. Tristan Thompson is nice ! By Ryan + Aron, for Cavs: the Blog . NBA Lockout: Where Amazing Happened... By Ryan + Aron, for Cavs: the Blog . The first ever "Funny Plate," Mr. Ed Hardy: I have a lot of plates. By Ryan, for CreativelyDisposingOfPlates.com . This blog is written and maintained by Ryan 'RyCoTa' Braun and colorist extraordinaire Aron Shay. Ryan and Aron enjoy sports, the arts, and monetizing their interests so as to continue their ascension toward the state poverty line. They can be reached at: ryanbraun at mac dot com.